As a beginner, you’re just getting started with golf and trying to find clubs can be frustrating. There are so many choices and the commercials and magazines want you to buy them all. The fact is that equipment technology has come a long way and it’s hard to find a “bad” club on the market today, especially from the well known club manufacturers. It is more important to find the RIGHT driver for your game. This buying guide will give you a good idea of the kind of features that are important to beginners and some recommendations as well. If you just came here to find out our number one pick, it is the Taylor Made M6 and you can click here to check out the current prices on Amazon. 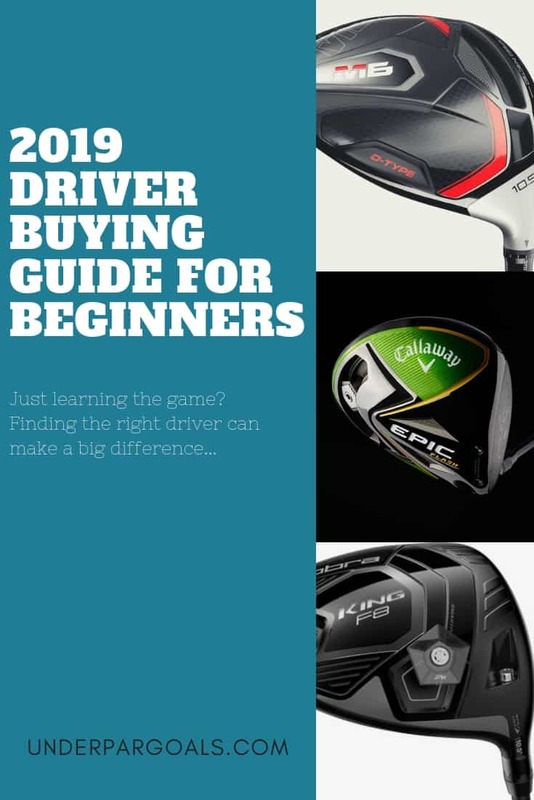 As a beginner, there are certain things you should look for when choosing a driver. What works for a pro or a scratch golfer can be a huge negative for a beginner. Some of the major factors you should be considering are forgiveness, adjustability, and affordability. This guide explains why each one is important for you as well as a few other things you should be aware of. This is the very first thing a beginner (and a lot of experienced players too) should be looking for in a driver. Forgiveness in a driver means that you can still get decent distance and accuracy on your shot even when you don’t hit the ball in the center (or sweet spot) of the clubface. Typically, the further you miss that spot when you strike a ball, the slower the ball comes off the clubface which means less distance. A miss-hit can also cause a ball to spin to the right or left causing a hook or slice. 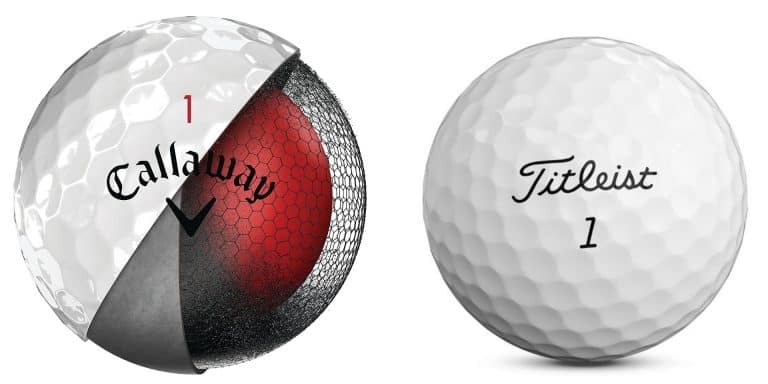 Modern day drivers are designed with a large club face so that the sweet spot is much larger than it used to be and even when you do miss it, the effects aren’t as harsh. 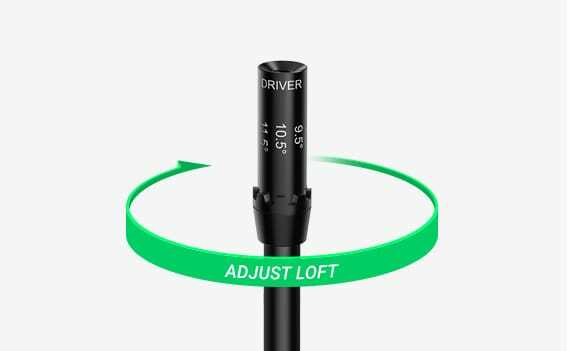 Being able to adjust the loft of your driver is a great innovation that has become very prevelant in the last few years. 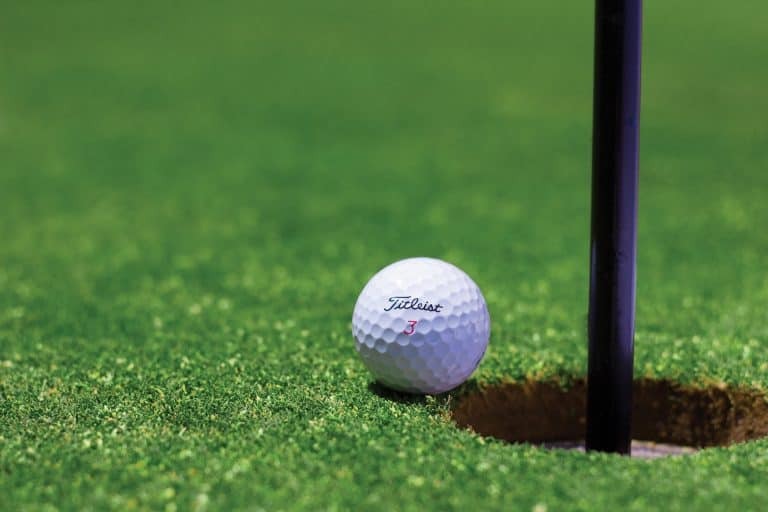 Adjustability can be a huge help to a beginner golfer. In fact, for a beginner, I wouldn’t recommend buying a driver at all if it was not adjustable. You simply don’t have a consistent enough golf swing to get perfectly fitted and locked into a driver that doesn’t adjust. As you learn the game and your swing improves, you may want to experiment with a higher or lower loft. Many drivers also can adjust the lie angle as well. If you are just getting into golf then the prices of some of the popular drivers out there can be pretty intimidating. You may just want to test the waters to see if you enjoy the game (you probably will…but still). In addition to that, as you improve, your skill may outgrow the first driver you picked out. There are ways to offset the upgrade cost, like selling your old club on ebay. But generally speaking, you probably want to keep the price of a driver reasonable. Don’t worry, we’ve got you covered with some options below at different price ranges. You may watch the pros on TV hitting wedges that pull back as soon as they hit the green and think putting a lot of spin on a ball is great! But when it comes to driving the ball far and straight, spin is your enemy. The good news is that club manufacturers are getting really good at creating clubheads that don’t cause a lot of backspin on drives. I put this at the bottom of the list because all the clubs recommended below are going to be just fine when it comes to spin so you should really worry more about the other factors above. As a beginner, you should always err on the side a higher loft when chosing a driver. There are two reasons for this. First, you will probably hit the ball farther with a higher loft. Many beginners simply aren’t generating enough swing speed to get decent distance out of a low lofted driver. Higher loft means more time in the air and more distance. As your swing speed increases, you can experiment with lower lofts to see if they give you more distance. But most golfers tend to go too low too soon…and their results suffer. Second, more loft will tend to create backspin instead of side spin. I know we said earlier that backspin was bad for distance, but it’s still a lot better than side spin that sends the ball into the woods. A higher lofted driver will have a tendency to counteract that side spin a little bit. That means less lost balls and higher scores. You still want to work on whatever swing fault is causing the slice, but as a beginner, a little extra loft will help. So let’s take a closer look at our picks for beginners. We went with models that had great forgiveness and adjustability that will grow with your game as you improve. The Taylor Made M6 is the slightly more forgiving cousin to the M5. Taylor made took an interesting approach when they designed the M6. They manufactured every club to be over the legal limit of energy transfer and then on an individual basis, they inject a tiny bit of weight into the club to bring it back to be exactly at the legal threshold. This allows them to ensure that every club is legal but right up to the maximum allowable. They also employed what they call a “twist face” technology. This means that the face is curved in such a way to reduce side spin when you don’t hit the ball right on the sweet spot. The club also has movable weights so that you can dial in the weight distribution on the club head to either promote a specific trajectory or ball flight (or in the case of a beginning golfer…you can use them to counteract a tendency to slice or hook the ball). Of course this isn’t going to be a cure all for a severe slice or hook, but it can help a little while at the same time letting you work on your swing to correct the fault. One great benefit beginners get from weights that are easy to move is that you can keep them in a neutral position when you practice so that you can work on improving your swing and then move them to a more corrective position when you play to help keep the ball in play. The M6 also comes in a M6 D version which is designed with a draw bias. That means the clubface is set somewhat closed instead of neutral. I’m not really a fan of these type of draw bias clubs for anyone that wants to actually get better. But for the beginner who just wants to play occasionally and not really work on their game, a draw bias club can be helpful. The combination of forgiveness (potentially the most forgiving club available) and the adjustability of both loft and weight placement makes this a very good club for a beginner. It will serve you well as you start to improve and correct some common beginner swing faults. You can CLICK HERE to check out the current price of this club on Amazon. I didn’t just pick this club because it shares a name with one of my favorite superheroes. The Callaway Epic Flash has some serious technology behind it. In the past, club manufacturers would have to test each prototype in a lab. I know you’re probably thinking, “Yeah, this is great for hitting the ball farther, but eventually Skynet is going to take over and then no more golf.” Yeah, you’re probably right, but that’s just all the more reason to splurge on a new driver now. Which brings us to the downside of the Epic Flash driver…the price tag. With an MSRP of $529.99, it is the most expensive club on this list so beginners may be a little turned off. But if cost isn’t an issue then this driver really has everything you need. The Epic Flash contains a movable 16g weight to adjust the club between a draw or fade bias. Like other clubs on the list, this isn’t going to fix your slice or hook, but it may help reduce it a little. The hosel also allows loft adjustments from -1° to +2°. That means that if you buy the 9° version then you can go from 8° to 11°. That may not be enough loft for most beginners, so I would recommend the 10.5° version to start. The Cobra King F8 is technically a slightly older model. But that just means you can save a lot of money and there weren’t really that many differences between this and the brand new model. The Cobra King F8 marks Cobra’s departure from the gaudy colors of graphics of prior models. It seems that they are all grown up now and really going after it, which I like. Forgiveness is top notch on this club as well. The club face is designed in such a way that not only gives you pretty good and consistent ball speed when you miss the sweet spot, but also includes an interesting take on spin control. The face of the club features more curvature on the top half less on the bottom. That means that shots high on the face (which normally produce less spin) will get a little more spin to help control the ball and shots low on the face (which normally produces more spin) will have the spin minimized allowing for longer ball flight. Basically, this normalizes the spin no matter where you hit it on the face, leading to better shots overall and more consistency. The club face shape also helps prevent balls hit to the left or right of the sweet spot from slicing or hooking too much. This has been a pretty standard feature on drivers for years. One aspect of the Cobra King F8 that makes it very appealing to beginners is that there aren’t any loft choices when you buy it. Instead it has a wide range of adjustability letting you choose 8 loft options between 9° and 12°. More advanced players may think this is crazy but it is perfect for you as a beginner. You can confidently buy this club (especially if you want to purchase online to get a good deal) knowing that your needs are going to be covered.